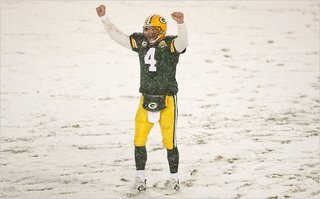 Brett Favre announced this week that he will be retiring. I had been wishing this year that he would win one more Superbowl but it was not to be. In this day of namby pamby pampered NFL players (especially quarterbacks), Favre is the glaring exception. Tough as nails and all HEART. The epitome of a football player. Enjoy your retirement #4. You have earned it. You will be missed. So I see that our illustrious congressmen / congresswomen are going to haul some bank executives to capitol hill and grill them regarding their high paychecks. I am sure John Q Public will be cheering on the sidelines. After all, how DARE these CEOs collect multi million dollar salaries and bonuses while the mortgage industry is in crisis ! So like the oil company execs who have to literally apologize every time the price of oil goes up and the company makes a few billion, congress is now going to look into the salaries of the banking executives. The sheer GALL of this strikes me absurd! I have just one question. How is the Federal Government doing? By any measure – financial, productivity, pick any one. Now shall we start talking about “pay for performance”? The country is $10 TRILLION in debt and the congress and senate keep voting themselves raises year after year. How come no one is hauling them to answer before self appointed committees? And to the John Q Public – my answer is simple. This is America. If you want to earn millions being a CEO, NO ONE is stopping you. This is just jealousy, pure and simple. If the execs are to be held accountable they need to be held accountable at a shareholders meeting. NOT on capitol hill. Looks like Wal-Mart has made it’s choice in the HD wars and it is going exclusively to Blue Ray. This is pretty much the last nail in the coffin for HD-DVD. And now there are rumors that Toshiba – the only maker of HD-DVD and the primary supporter of the format is going to pull the plug on it. I would like to note that the Microsoft supported format in the HD wars is all but officially DEAD and the Apple supported format WON. 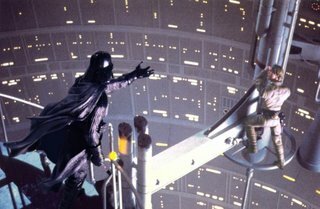 Looks like the Evil Empire’s stranglehold on all things is definitely crumbling. “No star system will dare oppose the Emperor now. No matter what you think about the Iraq war, THIS is just plain wrong. Freedom of speech and protesting the war is one thing, but this is just shameful. Remind me to NEVER visit the City of Berkeley California, other than to go visit the Marines and say thank you. To the people who are protesting the military, your GRIPE is with the leaders who send these brave men and women into war. Don’t take it out on the brave men and women that are sacrificing their lives to defend your very right to protest! I came upon THIS article today. I couldn’t agree more or have said it any better. After Months of speculation, it finally happened. To me, it is obvious that Microsoft can’t compete with Google on their own, so they need help. It also didn’t hurt that Yahoo took a tumble on earnings last quarter. I love the way “Hostile Takeovers” are now called “Unsolicited Bids”. Makes it sound – well – less hostile. Sigh.. I guess I will have to leave my Yahoo Group once this happens. It’s an election year. And as always, election years are the birthplace of dumb ideas. And a $600 to $1200 handout to the American taxpayer to “juice” the economy is a gargantuan dumb idea. Sheesh! I can’t believe the American public are this gullible. Then again, maybe they are not. Most people don’t care that this will do nothing but raise the federal deficit by another $150 Billion. Hey, what’s another $100 billion more? We are $10 Trillion in debt anyway, so who cares? Of course, NO politician is going to call this a bad idea or vote against it. It would be political suicide. So the madness continues. Aren’t “Government Handouts” the opposite of what Conservatives believe in? And don’t tell me this is not a handout as it is a “tax rebate”. Unless the government can prove an actual spending cut to directly offset this cost, this is nothing but an election year BRIBE. This is not an economic stimulus package. It’s a political stimulus package designed to keep the plebiscite from assigning blame for the current economic debacle to the politicians in charge. And yes, I am obviously NOT going to return my tax rebate to the govt. And I don’t think that in any way makes me a hypocrite. I am not a frequent blogger because I usually like to take time to research and think out what I write about. But since very few people read this blog anyway, I am going to try a different approach. I am going to use this blog more as a daily journal than a topic based blog. I thought about this after reading through some of my old posts and it served as a reminder to me as to my thought process a year ago. The hardest part about blogging is the discipline it takes to compose and post. I hope I can allocate a time of day to do this on a periodic basis. 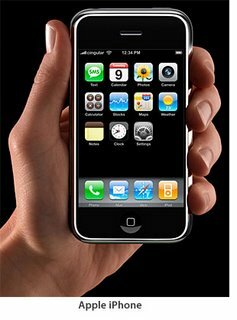 Time magazine just came out with its Top 10 Gadgets of 2007. #1 – The iPhone – Was there ever any doubt? Where are all the naysayers (Enderle’s of the world) now?